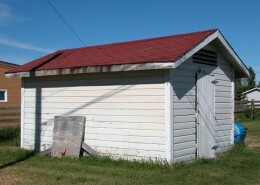 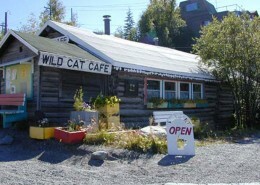 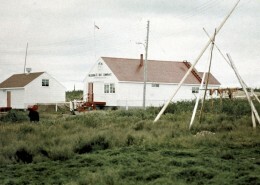 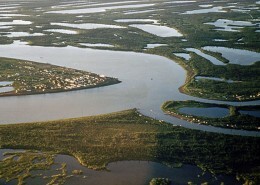 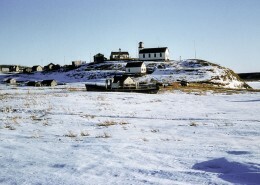 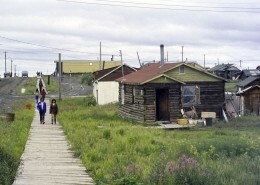 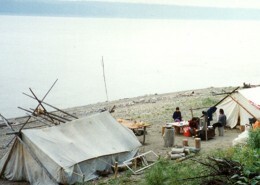 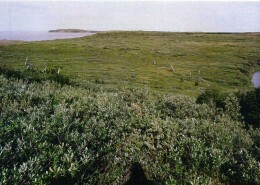 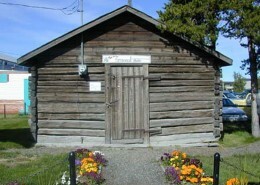 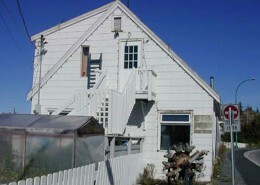 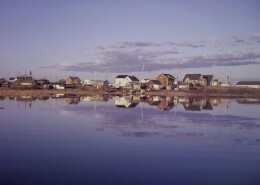 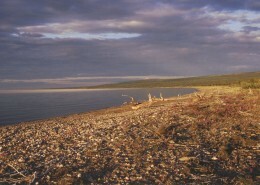 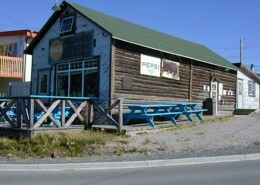 Faille Cabin is located along the Mackenzie River waterfront near the north end of the village. 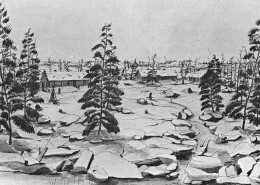 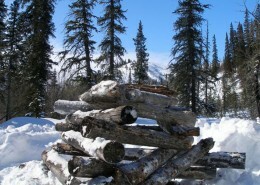 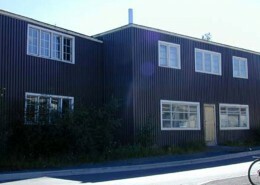 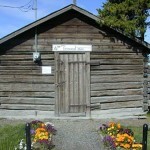 It consists of a small one-room, single-story wood frame cabin, its ancillary buildings, and the lot the cabin sits on. 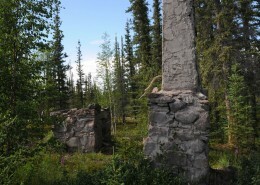 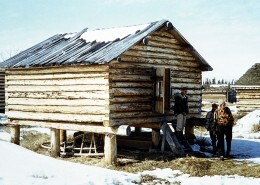 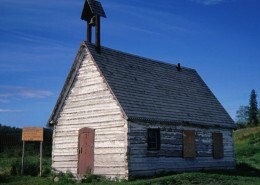 The heritage value of the Faille Cabin lies in its status as the oldest surviving building in Fort Simpson and in its association with Albert Faille, a well-known prospector and trapper in the Nahanni area. 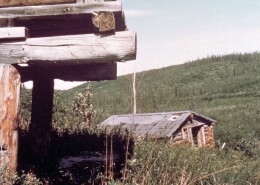 The heritage value of the Faille Cabin lies in its status as the oldest surviving building in Fort Simpson and in its association with Albert Faille, a well-known prospector and trapper in the Nahanni area. 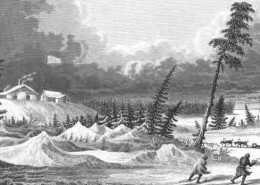 He was a determined prospector, courageous and skilled outdoorsman, and a living legend during his time. 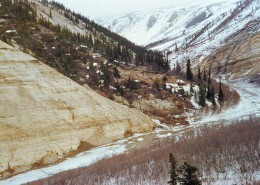 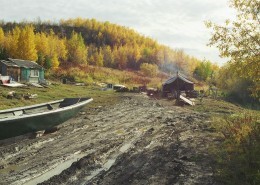 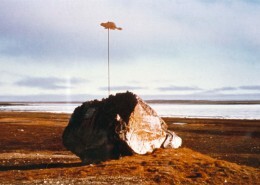 The 1962 National Film Board of Canada film ‘The Nahanni’ featured Faille in his persevering search for Nahanni gold, and gave Faille a national and international profile. 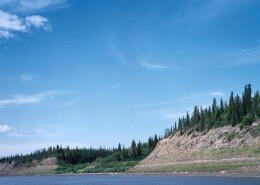 This exposure made Faille an icon of the Nahanni, and a symbol of the many people who come to the area looking for adventure. 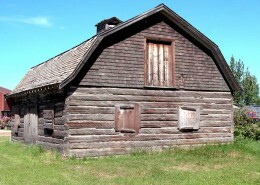 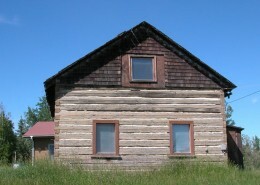 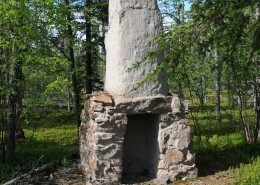 Faille’s cabin was built c.1919 from locally milled wood as the kitchen wing of the Indian Agent’s House. 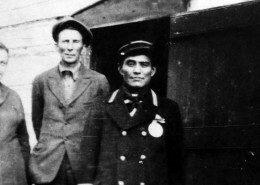 Albert Faille worked for the Indian Agent, Flynn Harris, and took up residence in the wing during the 1940s. 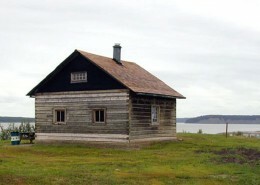 When the house was demolished around 1950, Faille was offered the kitchen as a cabin. 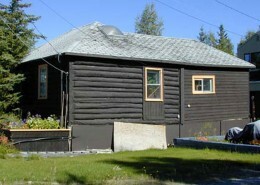 In 1957, he purchased the waterfront lot the cabin is currently on, where he lived the last years of his life. 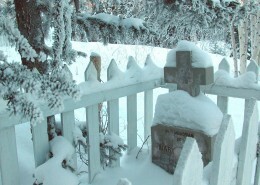 Albert Faille died during the night of December 31, 1973. 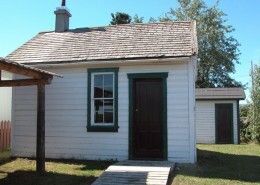 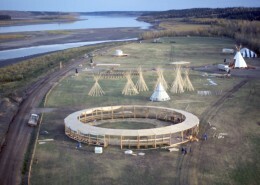 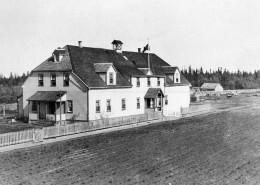 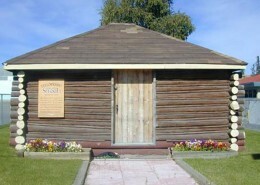 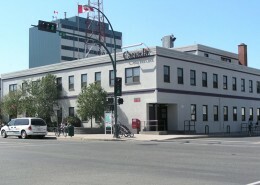 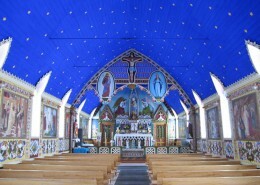 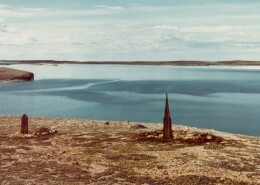 Two years later, the cabin and lot were purchased by the Commissioner of the Northwest Territories with the aim of preserving the history of and encouraging tourism in the area. 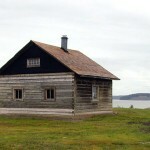 Today, in its picturesque location overlooking the Mackenzie River, the cabin is a tourist attraction for the many visitors, and canoeists in particular, who come to Fort Simpson on their way to the South Nahanni River.